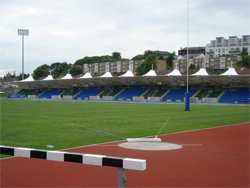 From the start of season 2012/13, Scotstoun Stadium will be Glasgow�s playing, training and administrative base � the first time the Warriors have enjoyed an integrated HQ of this type. The facilities at Scotstoun are first class for supporters and players alike, and present a fantastic opportunity to create a real Home of Glasgow Warriors. Both the Main and North stands offer great views of the pitch. 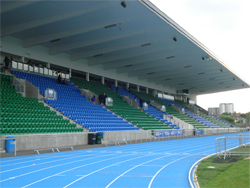 In order to fully exploit the limited capacity at Scotstoun, seating will be on a reserved basis. Glasgow Warriors Season Ticket Members have the opportunity to secure the best seats for the whole campaign, and can take advantage of a relocation window in advance of matches should they wish to bring friends and family to specific games. Standing areas, serviced by food and beverage outlets, will be in operation behind the posts at both ends of the stadium. For certain games, the capacity of the stadium may be increased through the use of temporary seating and/or standing areas in these sections of the ground. The Warriors are actively investigating options for a potential supporters bar at the stadium and will communicate further information once available. Behind the main pitch, we have an IRB approved 3G artificial rugby pitch. On every match day, our aim will be to ensure this pitch is used by local clubs and schools for matches, skills clinics and tournaments. Glasgow Warriors players and coaches will also support these activities each and every match day. 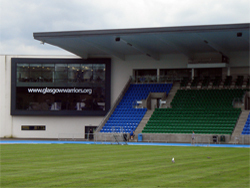 Full information on transport options and spectator access arrangements for Warriors games at Scotstoun Stadium will be communicated in advance of season 2012/13. The stadium is readily accessible by public transport. Numerous buses run along Dumbarton Road, a short walk from the turnstiles, while Scotstounhill and Jordanhill railway stations are also close at hand.